Offering panoramic Aegean Sea views , the white-washed Gaia in Imerovigli Village features a sun terrace with sunbeds and a hot tub . Free WiFi is available in all areas. Built according to the Cycladic architecture, Gaia Villa will provide you with a flat-screen TV, air conditioning and a balcony. There is a full kitchen with a dishwasher and an oven. Each bedroom comes with an en-suite bathroom including a hairdryer and free toiletries. You can enjoy sea view. Restaurants , bars and grocery stores are within 100 metres. Various dishes by the property's chef can be prepared upon request. Activities in the surrounding area include hiking. 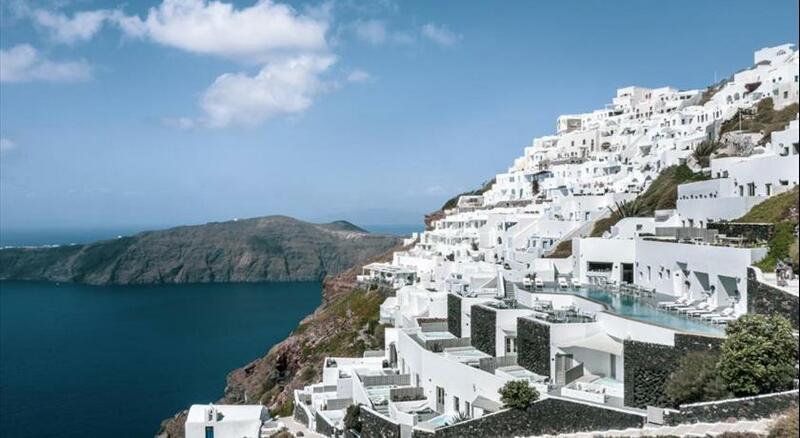 Fira Village is at a distance of 3 km, and island's airport is 5 km away. Taken from a drone fly over that shows the hotel from above. 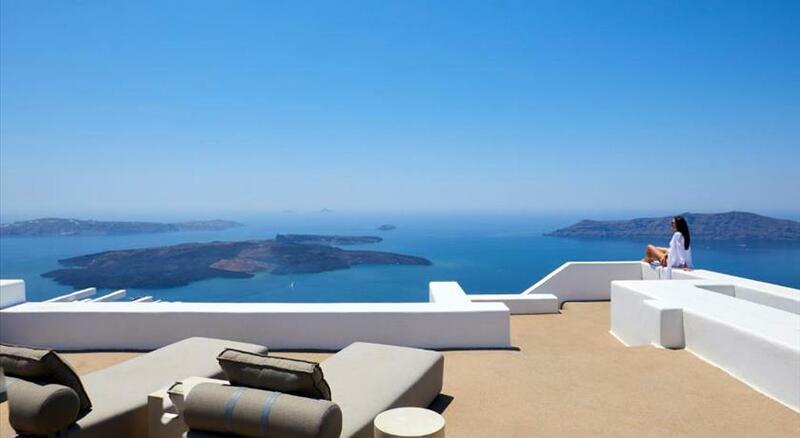 Gaia Villa is located in Imerovigli's caldera. All children are welcome. All further children or adults are charged EUR 50 per night for extra beds. The maximum number of extra beds in a room is 1.